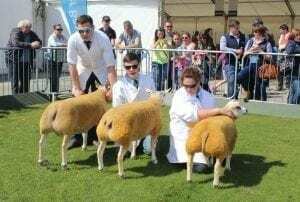 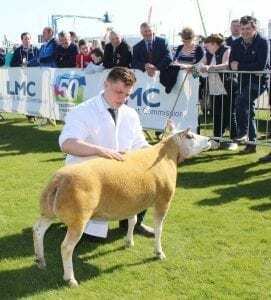 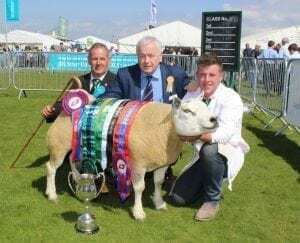 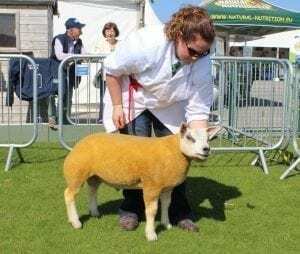 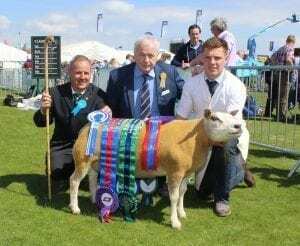 He was named Supreme Champion in the Beltex classes at the Balmoral Show going one better than last year’s performance at the annual showpiece when he took the Reserve Champion honours. 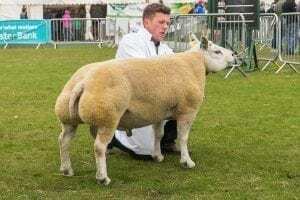 Judge Colin Barnes described Matt’s 3 Shear Ram, which is also the current Irish Beltex Sheep Breeders Club National Champion, as “an excellent, well-muscled sheep”. 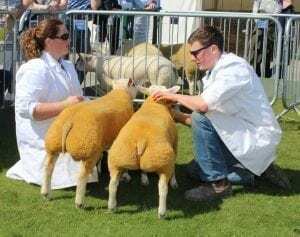 On the day Matthew Burleigh followed that up with a second place in the Shearling Ewe class, a second in the Aged Ewe Class and a third in the Ram Lamb Class. 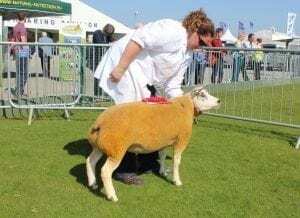 A home-bred Aged Ewe, Artnagullion TT, from Elizabeth McAllister’s Artnagullion flock based in Kells was named Reserve Champion. All-in- all, Elizabeth McAllister had a tremendous show at this year’s Balmoral, coming first in the Ewe two-shear and upwards class, rearing or having reared a lamb in 2017, first in the Shearling Ewe class, first in the Ram Lamb Class and first in the Ewe Lamb class as well as taking top spot in the Group of three and the pairs along with Reserve Champion, Female Champion, Reserve Female Champion and Reserve Male Champion titles. Artnagullion TT also picked up the Brendan Arthurs Perpetual Challenge Cup for best home-bred sheep. 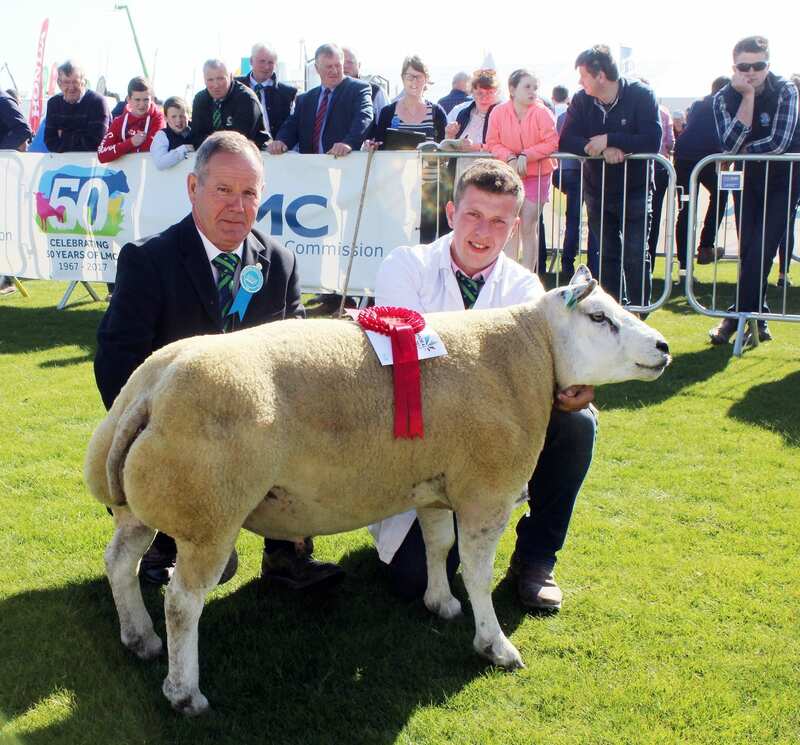 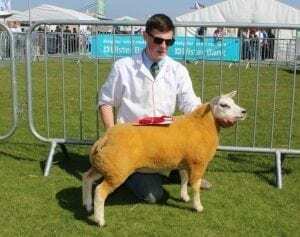 Judge Colin Barnes described Artnagullion TT as “an outstanding example of the Beltex breed – a sheep physically correct in every respect, which is not always easy for a working mother”. 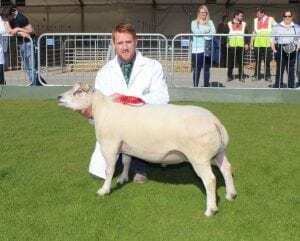 Patrick Brolly’s Munreary flock took first and third places in the Shearling Ram Class with David Brown from Bessbrook finishing in second place. Interestingly, one of the Irish Club’s youngest flock owners, Miss Hayley Mackey from Lisburn, who is only two years old, had her Ewe, two-shear and upwards, finish in third place. Club secretary, John Harbinson from Limavady had a second place in the Ewe Lamb class while Beltex stalwart, David Brown and grandson, Mark Latimer from Bessbrook, finished second in the Ram Lamb and the Aged Ram classes. Commenting on the entries overall judge Colin Barnes said: “There was quality in-depth in all classes. “I am very happy with the standard of all sheep presented and this augurs well for the future of the breed.